Sending SMS from Gmail - Not in Canada! Canada remains a digital ghetto. It's always been this way and it's only gotten worse. The latest evidence comes from Gmail where they now allow you to send text messages to cell phones via their handy Google Chat client, which is also built into Gmail. Unfortunately, not all carriers support this, and a visit to the supported mobile operators page leaves this Canadian feeling glum. Did you see that? Not a single Canadian carrier is listed. Meanwhile, Zambia and Uzbekistan each have three listed, India is all-in with the United States, and Guam's hooked up. Just throw it in the pile of mounting evidence that we Canadians are getting screwed by our telecom industry. 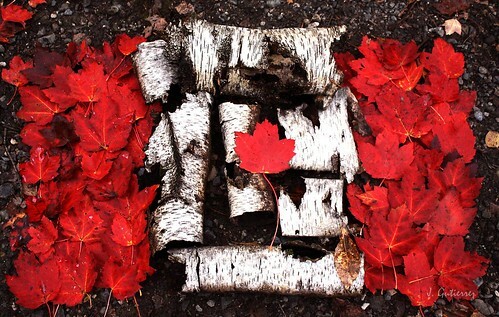 I recently came across Don Komarechka's natural Canada flag picture on Reddit. I quite like it. It inspired another photographer over there, known only to me as Cuervo2099 on Reddit. I like this one, too. I like this new trend. Who's next? In the 1990s, we learnt a great deal about Canadian history from the A Part Of Our Heritage vignettes that played on television during commercial breaks. Where else was I going to learn to ask aloud "burnt toast, Dr. Penfield?" Which is your favourite "A Part Of Our Heritage" vignette? In Toronto, we're getting Simcoe Day off on Monday, but it's not Simcoe Day everywhere in Ontario. Civic Holiday may also be known by one of a number of local appellations such as Mountie Day in North York, Colonel By Day in Ottawa, George Hamilton Day in Hamilton, Joseph Brant Day in Burlington, Founders' Day in Brantford, McLaughlin Day in Oshawa, Alexander Mackenzie Day in Sarnia, James Cockburn Day in Cobourg, Peter Robinson Day in Peterborough, and John Galt Day in Guelph, as well as numerous other names in smaller municipalities. 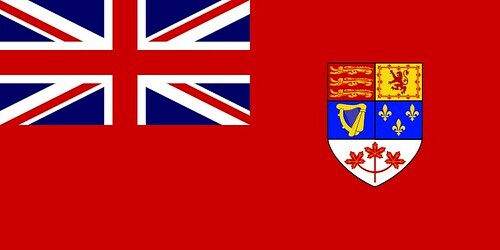 Speaking of Ontario, our flag is awfully British. Allow me to demonstrate and then explain how this came to be. 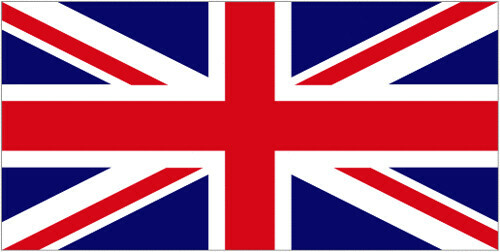 This is the United Kingdom Union Flag they've been using since 1801. 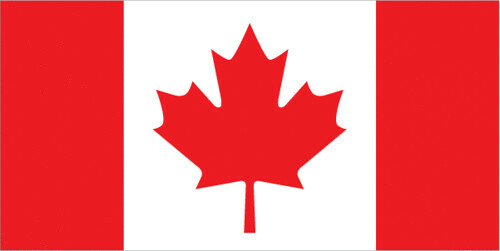 This is the Canadian Red Ensign flag Canada was using before 1965. You'll notice it has the Union Flag in there as a nod to our motherland. Diefenbaker wasn't the only one upset we lost the Union Jack. Ontario Premier Robarts wanted Ontario to adopt a new flag that restored this history, so Ontario got this flag with the good 'ol Union Jack featured prominently. 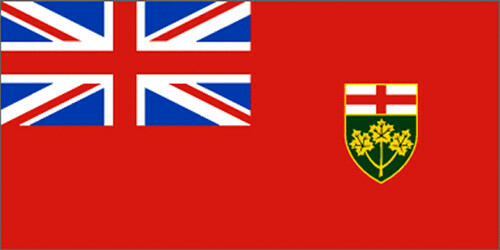 And that's how Ontario's flag came to look so damn British. 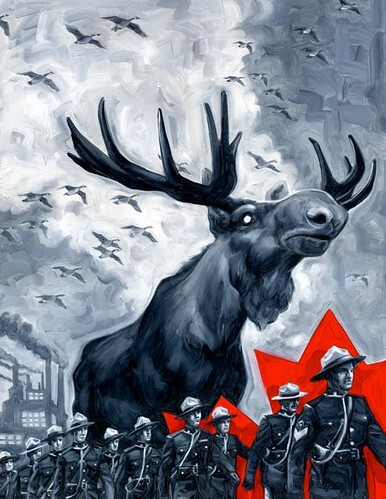 Happy Birthday, Canada, you're 145 years young today. Here area few entries I've written about you over the past 9.5 years. Thain Wendell MacDowell was a Canadian recipient of the Victoria Cross for his efforts in the Battle of Vimy Ridge. Thain Wendell MacDowell was only 26 years old and a captain in the 38th (Ottawa) Battalion, Canadian Expeditionary Force during the First World War when he was awarded the Victoria Cross. On 9 April 1917 at Vimy Ridge, France, Captain MacDowell, with the assistance of two runners (company orderlies, Pvts. James T. Kobus and Arthur James Hay, both of whom were awarded the DCM for their part) reached the German position ahead of his company. After destroying one machine-gun nest he chased the crew from another. MacDowell then spotted one German going into a tunnel. At the base of the tunnel, MacDowell was able to bluff the Germans to think he was part of a much larger force, resulting in the surrendering of two German officers and 75 German soldiers. He sent the prisoners up out the tunnel in groups of 12 so that Kebus and Hay could take them back to the Canadian line. Seeing that he had been fooled, a German prisoner grabbed a rifle and tried to shoot one of the runners. The German was then shot and killed. Although wounded in the hand, MacDowell continued for five days to hold the position gained, in spite of heavy shellfire, until eventually relieved by his battalion. He was promoted to the rank of Major following his actions at Vimy Ridge. He later achieved the rank of Lieutenant-Colonel of the Frontenac Regiment from Napanee, Ontario. That makes Thain Wendell MacDowell our Awesome Canadian of the Day. 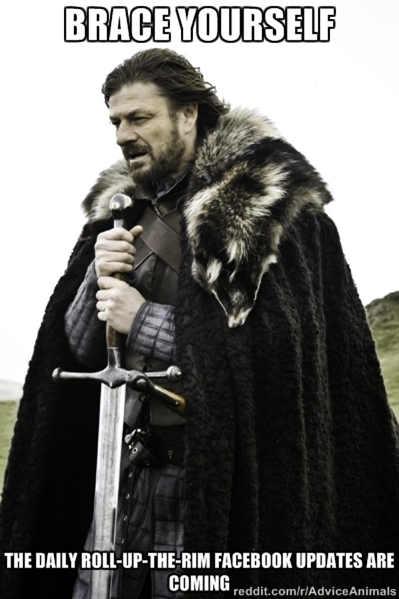 It's roll up the rim time, Canada. We might have won the battle against SOPA, but we in Canada have another fight on our hands. It's called the Copyright Modernization Act, Bill C-11 and it's an awful lot like SOPA and the DMCA. Bill C-11 is currently under review in Canada’s House of Commons. Why should we be concerned about Bill C-11? 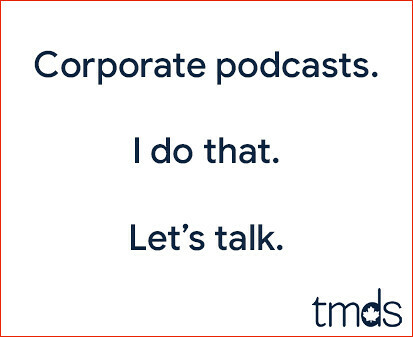 Just ask Michael Geist. Citing a document that appears to be a set of proposed amendments to the legislation from a music-industry representative, Geist makes the case that the same lobbying groups that backed SOPA are laying the groundwork for SOPA-like rules in Bill C-11. Besides that, the proposals would incentivize Internet service providers to terminate users who infringe copyrights more than once. Geist points out that there’s no mention of due process or what sort of proof would be required. Also under consideration is an “enabler” provision, which would target sites that aren’t necessarily pirate havens, but are primarily used for piracy. If you like the idea of the internet as a police state, then don't complain to your MP. If you embrace the internet as the last truly free market, send a letter to Ottawa to stop Bill C-11. Seriously. Do it now. Click that link and send a letter in less than 2 minutes. I believe it is in the best interest of Canadian consumers and creators alike to amend Bill C-11 to clearly link the act of circumvention to infringement, remove the all-encompassing ban on circumvention tools and to establish a new TPM labelling provision. Have you got your hands on one of our new $100 bills yet? It's made out of a single sheet of plastic polymer and it's totally pimped out. Canada will introduce plastic $50 notes in March, and plastic $5 and $10 bills will come out by the end of 2013.